I am sorry my blog has been so quiet for so long. Lots of things going on in my life at the moment: Rachel and Adam continue to live here, but are awaiting closing on a house in Mt. Holly. They both really like the house, it is close to Rachel’s work and will cut Adam’s commute in half. I hope you will come back and visit with me again soon. I hope to have my journal cover done (started in the workshop yesterday) soon. 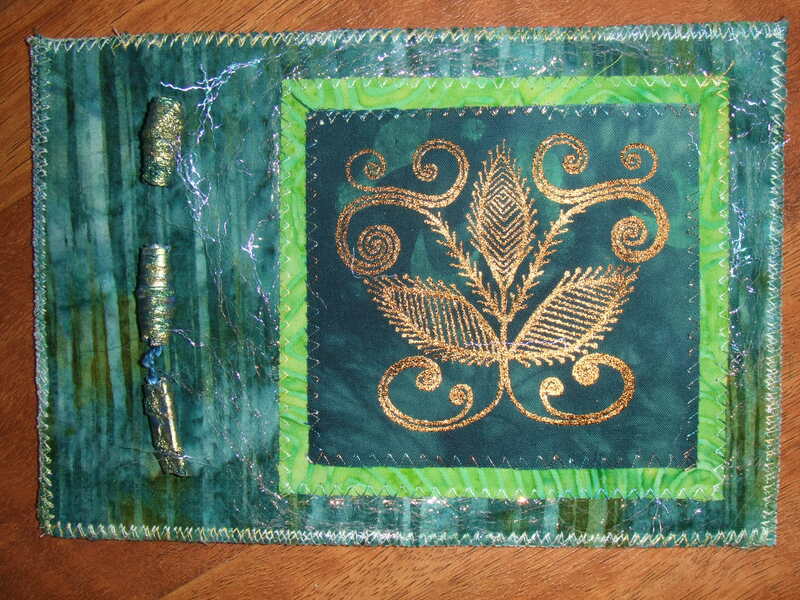 Posted in artmoney, Fiber Art and tagged art quilt, artmoney, beading. Bookmark the permalink.